Earth is maybe the luckiest planet in the cosmos. Sure, we keep getting invaded but the invaders are always, well, stupid. From the very first alien invasion story, H.G. Wells’ War of the Worlds, the prerequisite for attacking Earth seems to be that you must be dumb. Wells’ Martians had overwhelming technical and military superiority and they steamrolled us. It seemed like the perfect plan… except they forgot to filter their air-supply, caught colds and died. In almost all books and movies on the topic the invaders make stupid, elementary mistakes. In Pandora’s Planet the aliens invaded despite the fact that they were less technically advanced than we were, and even holding the orbital high ground was almost not enough to insure victory. In Independence Day the aliens had never heard of network security. In Battle: LA the aliens were doubly stupid- they designed their entire offensive around a single point of failure and they invaded for what? Water, made from some of the most common elements in the universe and readily available in space. Don’t get me wrong, I enjoyed all of these books and movies. I just had to work extra-hard to suspend my disbelief. The thing is that smart aliens almost certainly wouldn’t attack our planet unless they knew they would win. The energy and effort to cross interstellar space is just too great and expensive to bother otherwise. Kudos to Larry Niven and Jerry Pournelle for figuring out why a race that might not win would attack in Footfall, a great book and well worth reading even if it is a little dated now. Of course even his aliens expected to win, and would have but for one of the greatest and most entertaining ‘Hail Marys’ in science fiction. We did eventually work out a satisfactory and believable resolution, did a lot of math to insure that it would work and finished the novel, but it was touch-and-go for a while. It turned out that even our aliens weren’t quite as smart as we’d thought, but no spoilers. We’re lucky in that we live in the best time to be a writer in human history. Especially a science-fiction writer. Not only do we have the ability to self-publish and reach a world-wide audience but we have the greatest research tool in the history of the world at our fingertips: The internet. Whether it is the history of the Viking Era or the maximum effective range of an M16A2 rifle it’s all there for the asking. 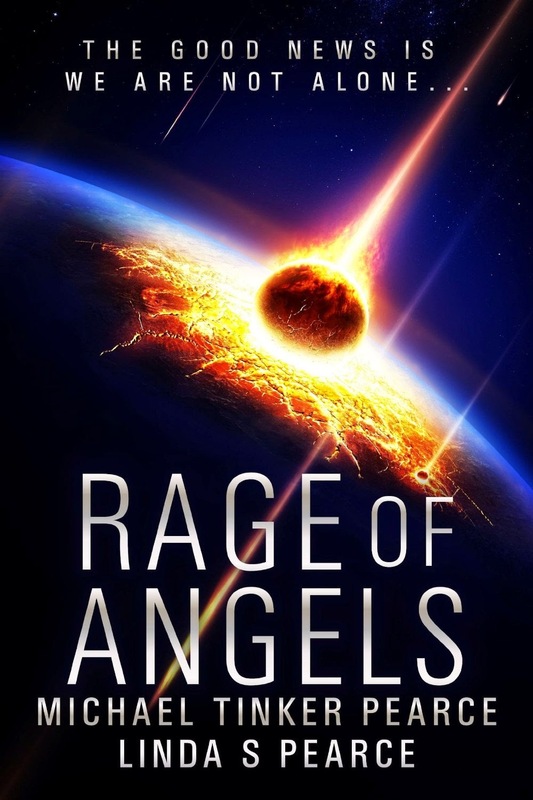 And then there is Google Earth… Almost every location in Rage of Angels is a real place. As a writer I can look for the perfect location for my action, swoop in and get details of the terrain, elevation etc. Mind you, you don’t have to include that information in the story, but even if you don’t it allows you to visualize the action and describe it more accurately. Yes, you have to be careful and work from multiple sources when using the internet, but it’s still an amazing tool. There is another reason that this is a great time to be a science-fiction writer. There are actually scientists at NASA and around the world working on Warp Drive and related physics. Seriously. We may well be only decades away from a faster-than-light space drive. Hilariously it works remarkably like the warp drive in Star Trek. What this really means to me of course is that I can use warp physics in my stories and still call them ‘Hard Science.’ Fantastic! As interesting as the science may be it’s the characters that drive the story. Male or female, human or alien. Memorable, sympathetic and likable or coldly sociopathic and calculatedly evil. Without the characters it just isn’t going to happen because in the end it comes down to people. What ever else may change I think that’s likely to remain true for as long as people tell each other stories. Michael 'Tinker' Pearce lives in Seattle with his wife and co-author Linda. He got the nickname 'Tinker' in the 1980's when he was at various times a soldier, college student, a bodyguard, a private investigator, a meat-carver at a restaurant, a police officer, an illustrator, heavy equipment operator, competition shooter, cover-copy writer, outlaw road-racer, Drill Instructor Candidate, receptionist, executive assistant to the heads of corporate banking at Citycorps, Tobacconist, courier for a currency exchange etc. He finally settled down to become a knife and sword maker, specializing in the blades of medieval Europe and the Viking Era. He is the author of 'The Medieval Sword in the Modern World,' and the designer of the CAS Iberia Tinker Line of medieval swords and trainers. He is a trained theatrical fighter and choreographer, and a student of Historic European Martial Arts. He co-authored the Foreworld novella 'The Shield Maiden' and the couple released their first novel 'Diaries of a Dwarven Rifleman' in early 2013. They released a sequel novella, 'Diaries of a Dwarven Rifleman: Rear Guard' in September 2013. Their second Foreworld Novella 'Tyr's Hammer' was published in October 2013.